The story was good until they made a very stupid mistake. Normally when they set up their future films they only use the last 5-10 minutes so the film itself can stand on its own. This does not do that and after about midway through or maybe the last third of the film they are going full on advertising for the MCU (silly marvel). The characters are hard to describe. Whenever they get together they take on Starks personality, it happened before and I am terribly disappointed it happened again. 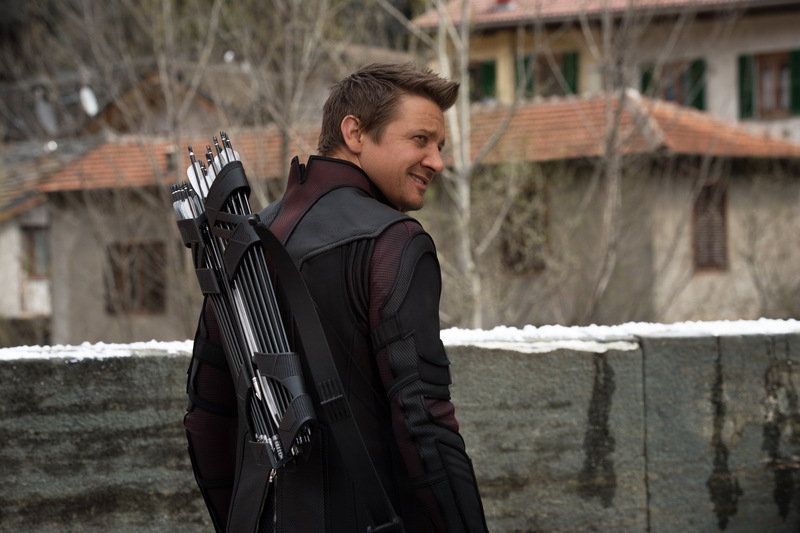 An unexpected exception to this would be Hawk Eye, they did so much better with his character. The film was for the most part quite funny; I laughed a good few times. But it gets to a certain point where they are masking a bad script with endless jokes of which only half work. The visuals as you expect are flawless, if $250M doesn’t buy you that what does it buy you? The action was massive even if in the grand scheme of the story it is meaningless. You have the one big bad, billions of weak underlings for hulk fodder and a big city for a showdown. Well it was more of a flying town but you get my point. My Favourite scene would have to be Ultron’s dialogue. I didn’t mention it much in the review but James Spader was excellent. Just a little more focus on the film’s title character and this could have been great. Oh Quicksilver and Scarlet witch where terrible. The accents the acting the looks, I also don’t think quicksilver is dead, but I also don’t care if he is. It was fine. I only wish Age of Ultron were more focused on giving the audience a clear plot instead of being a character springboard for future films. I like the humor. The bit where the team takes turns trying to pick up Thor’s hammer had a hilarious payoff later. It was fine. Not the response Marvel was hoping for. Hopefully this very easily made mistake will be avoided in the future. No worries. Thanks for the posts! I’m really over all the bickering between avengers. Also, the jokes were horrible. Yeah they went way overboard with the jokes. 250M buys you a big fat turd! Nah, just kidding. 😉 I enjoyed Ultron but it didn’t quite work in a few areas. Is it too late to recast Scarlett Witch? haha My favorite part is probably hulk vs Iron man. I LOVE the last line of your Review! I actually laughed out loud. It was so bad that they introduces a character, developed nothing of him, then expected the audience to be shocked and saddened by his death?! Come on! Whedon announced early on that he would kill an Avenger, and this way of doing it was such a cop out. The build up to it even acknowledged that, and tried to misdirect us. Shoddy work Whedon. The film follows the exact same plot points as the first. If you like, you can read my Spoiler-Free Review, where I dig into a bit of the major problem with the movie. Good review! Sounds like many Marvel fans are in agreement here: Age of Ultron is fun to watch, but doesn’t rise to the same heights as the previous one. I wanted to see more of Ultron; James Spader did such a great job with the voice work. 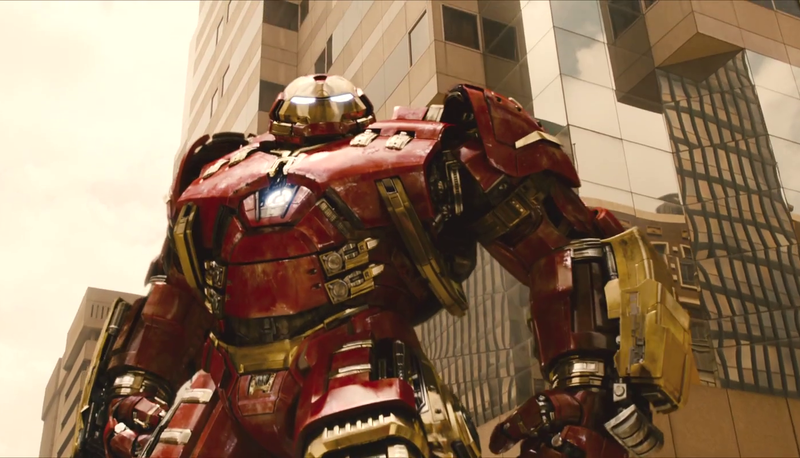 But you’re right, there are several times where it feels like this film is just a teaser for future Marvel stuff. Thanks. Yeah sadly we mostly agree. They didn’t need a end credit scene because the film was a none stop teaser. Damn shame. Such unnecessary mistake to make. Who on earth needed more incentive. Who was going to watch this and then not go see the next marvel film. Makes no sense. Agreed — we’re all firmly in the Marvel camp by this point; they don’t need to entice us to the next movie, we’re all ready to pre-order our tickets. 😉 I’m hoping Captain America: Civil War will be the movie Age of Ultron should have been. I read somewhere that this movie was initially almost 3 hours long and most of the drama was cut in favor of the action scenes. Not sure if that is true or not, but if it was it might explain some of your hang ups. Tony Stark’s humor ruined Iron Man 2 for me – too much of it. Kind of scares me to hear that it might be large in this movie. Possibly but that’s not the film I saw. If it was so much better at 3 hours they would have released it. True. I will have to see it at some point in time. I must admit that I didn’t think the action was as slick as it needed to be or as good as the first movie. A film of very good buys and some clunkers. Fair review Tim. Thanks man. I don’t think the finally was as impressive as the first but that might be down to a been there done that effect. Good review Tim, I personally loved AoU but agree it did have flaws – particularly the time spent setting up future Marvel projects. I liked the darker more serious tone and hope this follows through into Civil War. Interesting review, sounds like you enjoyed the film but had a lot of issues with it. I never thought about your point about the avengers taking on Stark’s personality, that’s a good way to point it, though I feel like that it worked for the film in most cases. I am still coming to terms with my opinion on the film, I really liked it, totally fun, but at the same time I wasn’t blown away like the first one. But for a sequel to one of the biggest comic book films in recent times it was a bloody good effort. I did enjoy it but it got messy. It didn’t have one obvious problem but lots of little ones. Am still a bit mixed on some of my views. What surprised me is how many people agree with me. I haven’t heard anyone with a great score for the film or a really bad score for it, all of them hover around good. A great review man, and I like your description of how all the Avengers kind of adapt Tony Stark’s snarky persona. They kind of do. The humor at least. I found a lot of things less than satisfactory with this new one, but like i said to Celtic Predator above, I really regret not going back and reliving The Avengers before walking into this. Or buying a ticket to the double feature. That would have been really exhausting, I know, but somehow I feel like the disconnected feeling I got towards the final third of AoU would have been avoided. Haha I love the last line of your review! I agree that all the characters take on the Tony Stark persona. I think this is the fault of Joss Whedon, he only seems to write one type of character. I think you can tell when Whedon ran out of energy. Also, there’s rumored to be a 3-hour director’s cut coming Blu-Ray later this year. My guess is Whedon struggled with finding time to shove in too many characters in a sub-2.5 hour movie. If you can’t do it right with 2.5 hours. Do less stuff. 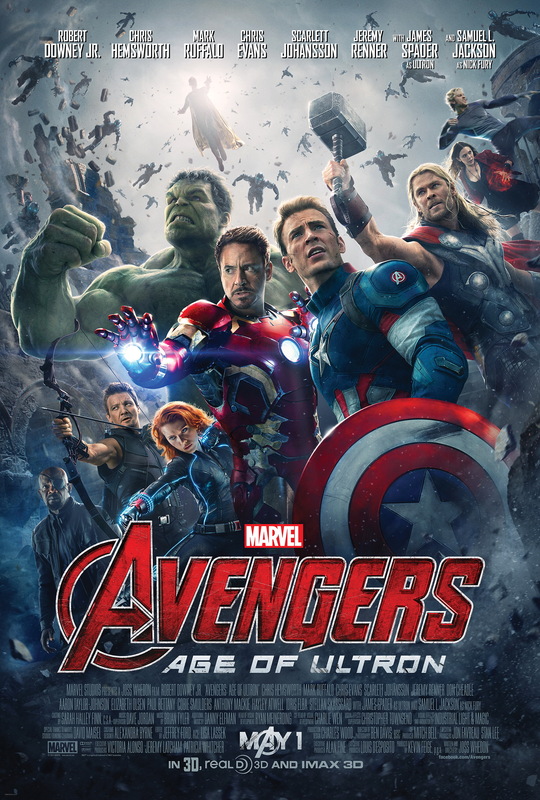 I keep getting the vibes that many who are disappointed with AoU had such high expectations after the first film miraculously lived up to the hype (and, as you mentioned, we had two good standalones back to back in 2014). I haven’t seen AoU yet, so I’m not sure, but the general consensus among everybody, even those who really liked it (and there’s a fair portion who flat-out DID NOT like it) is that AoU is inferior to the original Avengers. Dude that’s a good point, I really wish I had gone back and watched the first one before running into this. 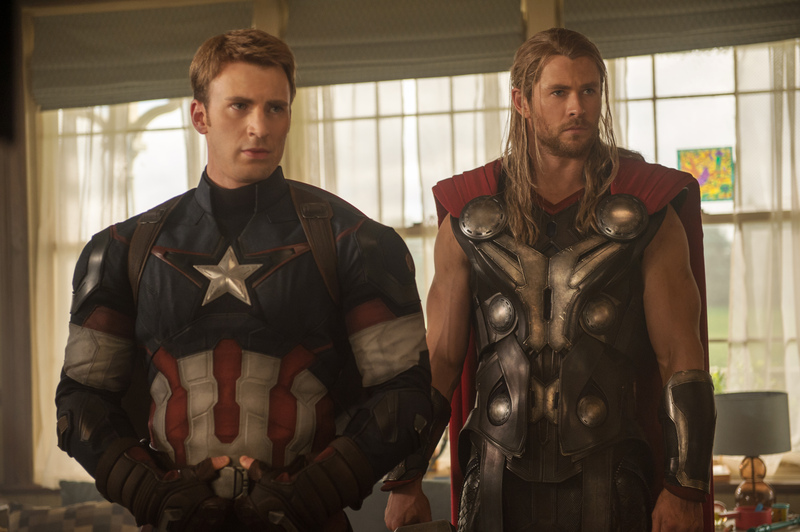 Age of Ultron doesn’t disappoint if you’re looking for comedy and spectacle. But in this second film it gets to a point where nothing is really gelling and the formula can be really, really felt. But Joss Whedon did have a hell of a lot of weight on his shoulders so it can’t be entirely his fault. I don’t think perspective is the main issue. Just one and few little issue that persist throughout the film. I watched it on Monday and almost completely agree with you on everything. It’s like watching the The Dark Knight Rises (2012) again, for my part. Mildly entertaining while I watched it, but disappointing when I stop to really think about any part of it. I’m starting to get into the fan-edit philosophy. It can’t solve everything, but just cutting out 30-40 min of cameos, flashbacks, and various other filler-crap would make this movie into a tighter story. “agree with you on everything” Typo right?